It’s coming sooner than anticipated. 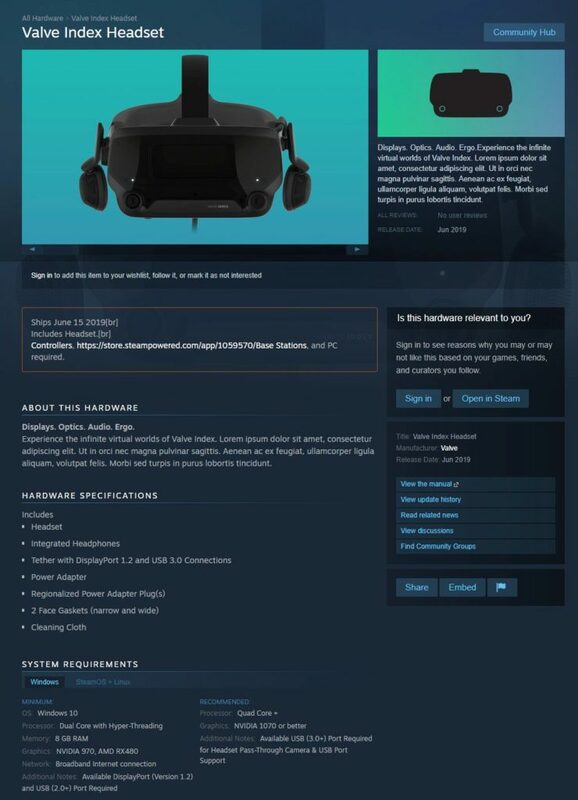 Valve will be taking pre-orders for the upcoming Index VR headset starting May 1st with shipping taking place some time in June. And that’s not all. Valve will also be releasing the Knuckles motion sensor controllers too during this time frame. According to some digging by a Wario64 on Twitter, the headset may actually release on June 15th but that is not confirmed. And according to the uncovered landing page, the headset itself might have a minimum requirement of a GTX 970 with recommended GPU being the GTX 1070 or better. 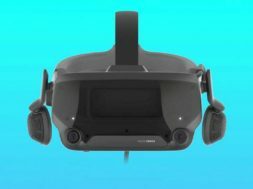 The headset looks to come tethered and will be powered through a PC and the GPU. Valve might also be changing the name of the Knuckles controllers to the Valve Index Controllers. 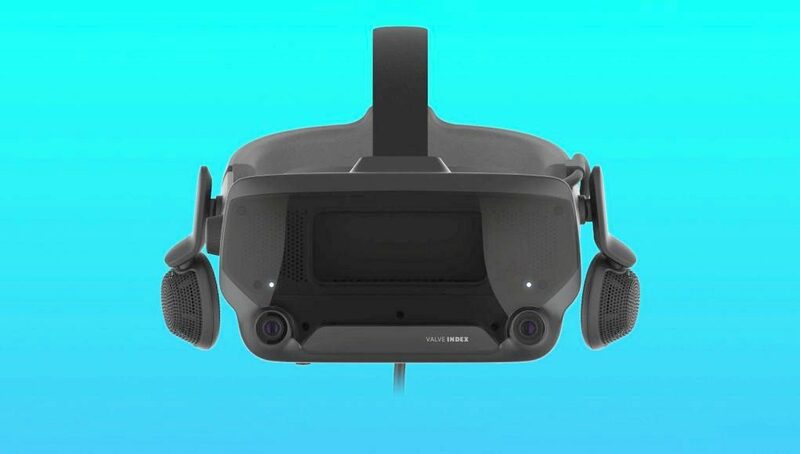 With the brightened picture above, you can see that the HMD will have its own onboarded headphones with various sensors in the front and the mentioned cameras. The design itself is quite unique and will offer a “comfort” level of its own compared to other designs from competitors. We will find out more on May 1st.